Martinez, nestled in a gentle valley by the calm waters of the Carquinez Strait, became an important early inland port that welcomed ships from all over the world. Once a commercial center for grain growers from as far away as the Livermore Valley, it was named Contra Costa's county seat in 1850. From the days of the Gold Rush when ferries carried hopeful miners across the strait on their way north, through the linking of its railway track to the transcontinental network in 1879, to the thriving industries of today, Martinez has remained the governmental and transportation center of the region. The Martinez Historical Museum's staff has selected images from its extensive archives to illustrate this story of both change and continuity in the town and its historical connection to the wider world. 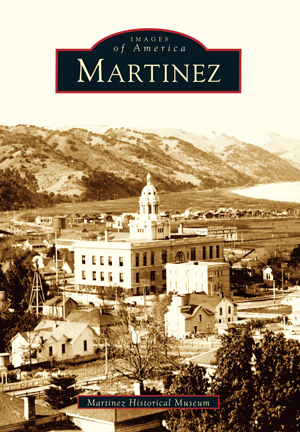 Covering a wide array of subjects, this book chronicles Martinez from its founding to the present day.